There are phones, quite a lot of them for the blind who have no vision. But now, there are smartphones and apps for the smartphones which can make the usage better. There are some dedicated companies which have been trying to make useful products for the blind, in the form of phones and apps. Below we talk about each of them, which would come to good use if you have someone known in need of it. We quite well know how good Android OS is, when we talk of customization. 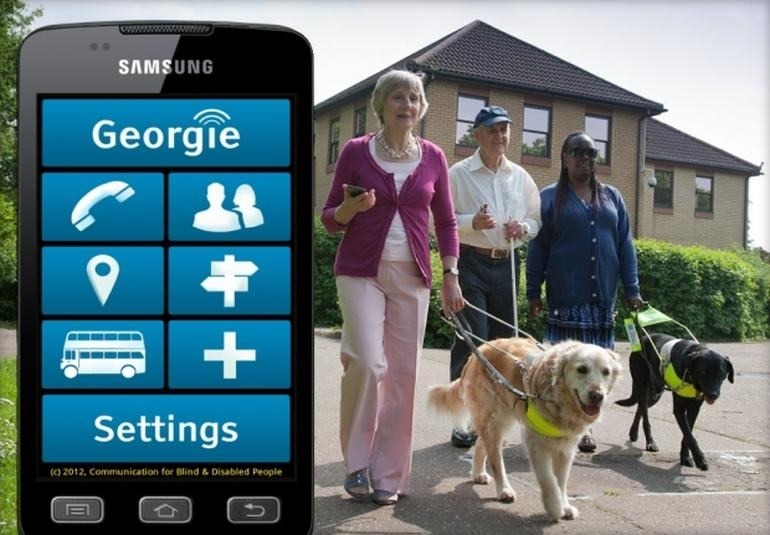 Georgie takes advantage of the same, with the Android OS powered smartphone having an interface which is very easy to use, and most of the stuff is done by talking and listening, which is what is possible for the people with no vision or limited vision. According to the makers, GeorgiePhone is an easy to use smartphone with a suite of bespoke tools, utilities and applications that enable people with little or no sight to live, communicate and travel independently. The possibilities with the Georgie Phone are quite a lot. A simple touch of a button would send a message to the closed one to let them know that you are lost or are in need of an assistance. 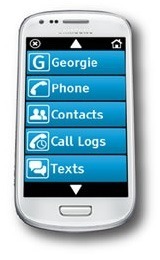 The Georgie phone is available with the contract plans, starting from £30 per month (24 month contract) or £319 on Pay As You Go. The app is not yet public, but is expected to be soon available. The concept of the app is simple but it is very useful. There are several apps which help in color matching, entertainment but this one which is being made by Pierluigi Gallo and a few others at the University of Palermo in Italy, and the app provides a way for the blind to get navigation help without even the need of GPS. The concept is pretty simple. A colored line is drawn in the entire house in the center of the walk route, and when the person has to walk somewhere around, the camera has to be started through the app and a finger needs to be placed on the screen, while the person is walking. The ground is continuously scanned for the colored line, when the phone is horizontally held. It is probably named ARIANNA: pAth Recognition for Indoor Assisted NavigatioN with Augmented perception or is something similar to that. The phone presents itself with the different communication apps and services including calls, email, messaging, contact list, calendar, GPS, advanced WEB remote assistance, voice recorder, panic and emergency services. All this is accessible through a very simple and touch-and-sound interface. The Ray Manager app for Android would explain what all you are getting in the smartphone, because this is the app manager which would do everything in the device. There are two models in this – Ray G510 priced at $650 and Ray Y300 priced at $450. The one available on Amazon is a device from Huawei which has the full suite of Ray Manager and which does a whole big list of functions to make it easiest for the blind to use it. Communicate – “Assistance” to call someone who can tell you where you are, “Audio Tagging” for adding sound clip to images to find them later easily, “OCR” to turn a photo into text document, “Camera Assistant” to take a photo and be told what it is, “Twitter” to send and receive tweets, “Blogs” to record and broadcast audio blogs. You can check out for the various apps listed under the ScreenReader developer on Play Store here. 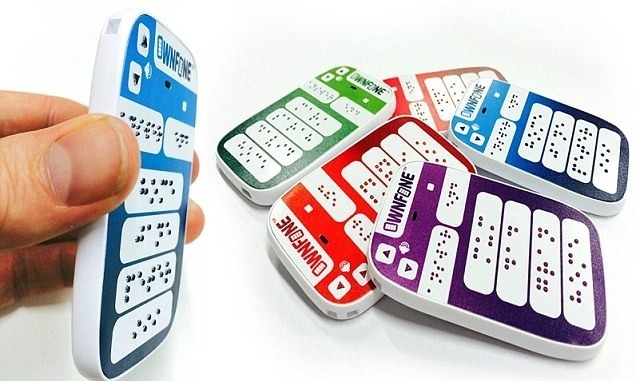 OwnFone, a brand known for making customized gadgets, has made a 3D-printed customisable Braille phone for blind people. Costing at £60, the phone is 3D printed, and the usage is very easy because of the Braille language on it, and the numbers with names are programmed already on the phone so that the user doesn’t have to worry much while trying to make a call. Customizing the colors of the phone or adding pictures on it would cost a little extra, and OwnFone has its own network, OwnFone Service, which offers subscription fees of between £7.50 and £15. 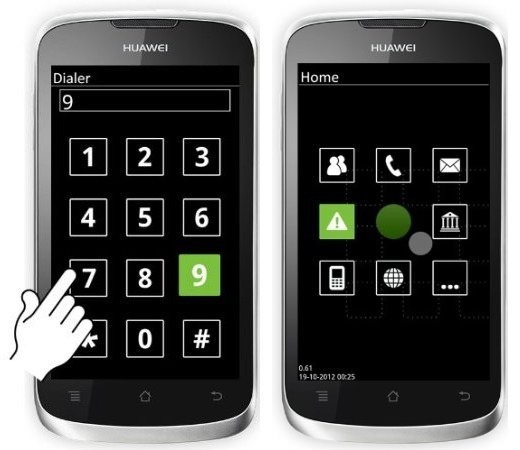 The phone has got a 3D printed keypad, especially for those who cannot read Braille. The phone doesn’t really look like a normal cell phone, but the functions are good enough because calling is one of the important needs during an emergency, and OwnFone does that very well. This is one of the simple and neat apps available for free, providing reading assistance for the blind. 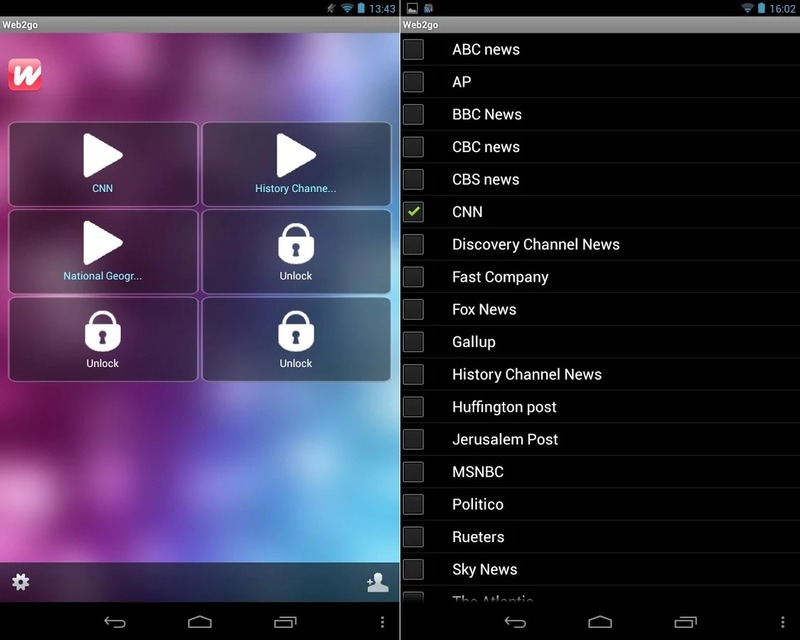 The Read Aloud App would read out the news, magazines and websites and the user can start listening to the famous news networks. The professional text to speech service comes to use not only for the blind but also for the ones with limited visibility who cannot read small text on the mobile phones. The app also comes with the Bluetooth support for the Bluetooth car speakers to read aloud the content through the speakers of the car. This is a company that providse solutions for the Blind And persons with low vision. The range of phones includes both smartphones and feature phones, i.e. Nexus 5, Nexus 4, Odin VI, Emporia Essence. The Nexus 5 with the Instructional Package costs $399.99 while the one without the package costs $359.99. The features such as Voice Actions help the user in hands-free usage and get actions done, send text messages, get directions etc. from the home screen. Odin Mobile is including eight applications specially for the blind, and there are tutorials provided by the blind experts in the phone. Only for the residents of Texas, the blind and visually impaired people can get the Odin VI phone for free, through the State Specialized Telecommunications Assistance Program. 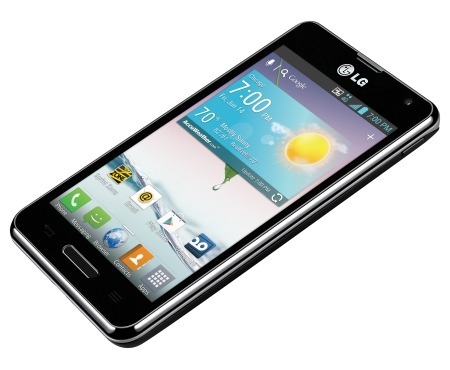 Having the special Google TalkBack feature, the LG Optimus F3 was introduced for both, the blind and also the hearing-impaired people. Talkbalk from Google is an accessibility app which provides the text-to-speech conversion and for the Sprint subscribers, the Accessible Education ID pack can be downloaded using the Sprint ID. Launched in 2013, the phone came with a price tag of just $30, but the users have to sign a contract for 2 years, and the price of $29.99 is after the $50 rebate.